Our Luminaries are experts in their fields who are our mentors, colleagues, friends or acquaintances whose body of work we find of value and that we would like to share with you. 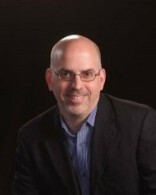 Alan Eisenberg is an eLearning and communications expert and author and has been producing video, print, and multimedia material for over 25 years. He is also a survivor of youth bullying and has turned that experience into being an anti-bullying activist and blogger. In 2007, Alan started his blog site about the long-term effects of bullying at http://bullyinglte.wordpress.com. Since its inception, the site has had well over a million visitors. More recently, Alan has written a biography of his experience dealing with the C-PTSD, anxiety, and depression that developed due to the years of bullying he experienced as a youth called “A Ladder In The Dark“. Alan is the founder and managing director of Bullying Recovery, LLC (bullyingrecovery.org), whose mission it is to help those who suffer from the long-term effects of bullying (Complex Post Traumatic Stress Disorder or C-PTSD) to find the help they so desperately need by providing media, materials and support through links to seek and receive the help needed to recover. Alan is also married and a proud father of two grown young men. Reggie served as primary caregiver for his mom from 1996-1999. 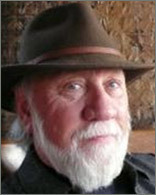 He is a Certified Integral Coach™, educator, teaching poet and author. 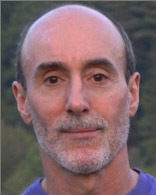 A former teacher, basketball coach and administrator in secondary and higher education, he engages integral applications and writing as tools for alleviating unnecessary suffering through an exploration of identity, perspective and purpose. 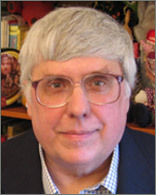 He has presented his poetry and workshops for the National Association for Poetry Therapy, the Transformative Language Arts Network, the National Speakers Association, the Iona Spirituality Institute, TEC Canada and Vistage USA, among others. Reggie also works as a partner with ParadoxEdge, a business coaching and consulting firm. 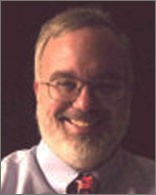 He is a Certified Leadership Agility 360 Coach and holds an A.C.C. credential with the International Coach Federation. His email is ramarra@paradoxedge.com. Diane DiResta, President of DiResta Communications, Inc, is an expert in the mind set and skill set of presentations that forward careers. As an executive speech coach and International professional speaker, she works with leaders to reduce speaking anxiety and to craft and deliver presentations that get results. Her communication strategies result in increasing confidence and credibility, getting promoted, and inspiring teams. Her book, Knockout Presentations, is a Amazon category best seller. 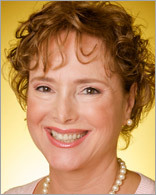 Diane holds a Masters Degree from Columbia University, is trained in NLP and Hypnosis, and graduated from CoachU. She’s been featured on CNN, Fox 5 and WPIX TV and quoted in the Wall Street Journal and New York Times. Diane media trained sports and entertainment celebrities from the NBA, WNBA, USGA. She is Past President of the NYC chapter of National Speakers Association and on the Advisory Board of Enterprising Women magazine. 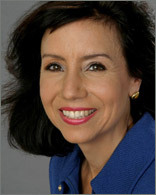 Biba Pedron is a Business Coach, Marketing Expert, Speaker and Author. She helps countless small business owners connect the dots of marketing, social media, networking, and branding to grow their business teaching simple but effective marketing strategies that really work, so they can attract more clients online and offline while building a 6-figure business. All while following their passion and doing what they love best. Biba is the author of Start Your Dream Business Today and author of www.TheConnectionQueenBlog.com. Over the past 10 years Biba not only taught networking and marketing, she also connected thousands of entrepreneurs to build partnerships. Biba Pedron was born and raised in France. With great passion and drive, and little English language speaking skills, she moved to the U.S. in 2003 and within two years published her first book, Start Your Dream Business Today and was known as “The Connection Queen”. Since then she has continued to write ebooks in both English and French. 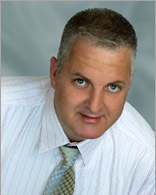 Dr. Joe Serio, an international speaker, trainer, and author who holds a Ph.D. in Criminal Justice from Sam Houston State University, with a specialization in Leadership and Organizational Behavior. 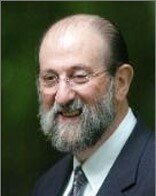 His career is highlighted by unique experiences in the former Soviet Union investigating the Russian mafia, including a year spent working in the Organized Crime Control Department of the Soviet national police prior to the collapse of the USSR. Dr. Joe started his own company assisting foreign corporations in Russia and later became a consultant to the New York-based global corporate investigation and business intelligence firm, Kroll Associates. Soon, he became the director of the Moscow office of Kroll, overseeing investigations across the former Soviet Union. While in Russia, he was also a consultant to major U.S. and European media companies and helped produce three documentaries for A&E’s Investigative Reports. Back in the U.S., Dr. Joe devoted much of his time to finishing his Ph.D. and traveling around the U.S. speaking to corporate audiences on business security issues in Russia. He also served as editor-in-chief of the well-regarded magazine, Crime and Justice International, and as co-instructor of week-long programs on developing effective relationships with the media. 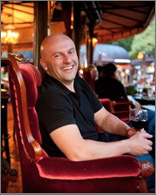 Dr. Joe is the author of the critically-acclaimed book, Investigating the Russian Mafia. The first two books in his Get the Nerve® Series are Overcoming Fear: 50 Lessons on Being Bold and Living the Dream and Public Speaking: 50 Lessons on Presenting Without Losing Your Cool. Adam Timm is a retired 10-year veteran of the Los Angeles Police Department. As a tenured 9-1-1 Dispatcher for one of the busiest agencies in the country, his career put him headlong into the debilitating effects of dispatcher stress – chronic stress from daily calls, critical incident stress from emergencies and post-traumatic stress from doing it all for a decade. After experiencing years of migraines, ulcers, and personal challenges on and off the job, he developed a step-bystep program to stop the stress and live healthy again. Adam’s stress reduction program for the Los Angeles Police Department contributed to a 45% decrease in annual sick time usage, and his stress resilience training for Emergency Dispatchers has been delivered around the country. Adam is a regularly featured keynote and breakout session speaker at APCO and NENA conferences, and has co-presented stress management learning modules in California POST certified classes since 2012. 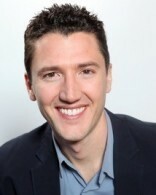 Adam is a board certified Stress Management Consultant and holds a B.S. in Organizational Management. He is the author of the #1 bestselling book, Stress Is Optional! How to Kick the Habit, available on Amazon, and Dispatcher Stress: 50 Lessons on Beating the Burnout. 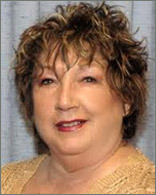 Judith (“Judy”) L. Glick-Smith, Ph.D., has been a systems and technical communication professional, instructional designer, and organizational development consultant since 1983. In addition to teaching in the KSU Department of Communication, she is president/CEO of MentorFactor, Inc., which focuses on teaching individuals and organizations the art of flow-based decision making through the design and implementation of user-centered systems that facilitate productivity, efficiency, and innovation. Recent clients are the University of Pennsylvania, Southeastern Pennsylvania Transportation Administration, NEC, HealthTeacher, Deloitte, and the Social Security Administration. She is a graduate of the Transformative Studies doctoral program (with a concentration in Integral Studies) from the California Institute of Integral Studies. 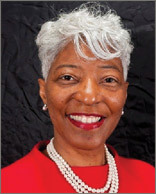 She has a Masters of Science in Conflict Management from Kennesaw State University and a BBA in Accounting with a minor in Information Systems from Georgia State University. She is certified in the Zachman Framework for Enterprise Architecture. She also holds a certification in EQ-i, an emotional intelligence assessment tool. 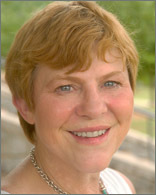 Judy is a Fellow and Past International President of the Society for Technical Communication. She has published in numerous peer-reviewed journals and has regularly presented at professional organizations and conferences since 1988. She is currently working on a book on flow-based decision making, with expected publication in mid-2014. Judy’s email address is judy@mentorfactorinc.com; her phone number is 770-633-5582. Michael Losier lives in beautiful Victoria, BC, on Canada’s west coast. He is the author of the bestselling book Law of Attraction: The Science of Attracting More of What You Want and Less of What You Don’t. Michael has been teaching the Law of Attraction since 1996. His self-published book became a word-of-mouth success and has sold 1.8 million copies in 33 countries.Michael was interviewed four times by Oprah Winfrey on her Soul Series radio show on Oprah Radio (TM) on Sirius XM satellite radio. He then hosted his own show on Oprah Radio for one year. 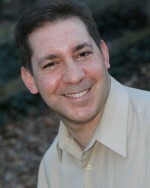 Michael runs a Certified Law of Attraction Facilitator program and has certified over 320 facilitators in 13 countries. His second book, Law of Connection, teaches people how to build rapport and improve communication with others through awareness of different communication styles. Michael delivers 5 Law of Attraction tools that he uses on a daily basis in his 5-video series on how to apply the Law of Attraction to your personal and business life. You can join him Friday mornings for his LIVE Google Hangout show. 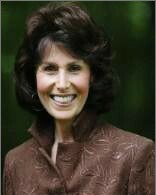 Judith Lukin is the founder of Inspired Outcomes, a coaching and inquiry learning practice for adults in transition. She has master’s degrees in social work and adult education, as well as a certificate in nonprofit management, all from Columbia University. She has taught psychology (Mercy College) at a women’s correctional facility; grant writing at New York University, Fordham University, and for the NYC Department of Education; and nonprofit management at Montclair State University. 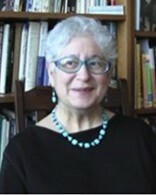 Judy served as Executive Director of a NYC nonprofit. She’s been influenced and inspired by her participation in Ira Progoff’s Intensive Journal workshops and in a Barbara Sher Success Team. In her work, Judy uses humor to tickle the imagination and engages as a Thought Partner (or Thinkin’ Buddy) and mentor, applying deep listening and good questions to help clients focus and become self-empowered. Through Inspired Outcomes, she offers two interactive workshops: Grow Your Grammar and Circle of Life Planning (for which she has authored the workbook). 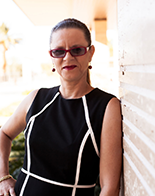 Judy is passionate about social justice and creative expression, and delights in witnessing spontaneous epiphanies while teaching academic writing skills to formerly incarcerated college students. She is also a writer, poet, bead jewelry artist, avid reader and music lover. Follow Judy on her blog or email her at inspiredoutcomes@verizon.net. 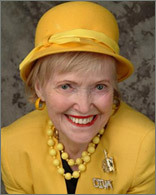 Carol Adrienne is an internationally-known author, numerologist, and life coach. Her books have been translated into over fifteen languages. Oprah hailed, The Purpose of Your Life: Finding Your Place in the World Using Synchronicity, Intuition, and Uncommon Sense a must-read. In addition to The Purpose of Your Life, two other of her best-selling books, When Life Changes, or You Wish It Would, and Find Your Purpose, Change Your Life have been included as text books in life coaching curricula. She has been on the editorial board of Choice, the magazine for professional coaching for over ten years. Carol Adrienne also co-authored with James Redfield, the author of The Celestine Prophecy, the two guidebooks for his novels, The Celestine Prophecy: An Experiential Guide and Holding the Vision: An Experiential Guide. An internationally recognized expert in the field of numerology, Adrienne has written two books on the subject and has taught seminars world-wide. She currently offers private consultations to help clients identify their next step in their life purpose. Her Web site offers personalized life charts and forecasts, as well as free daily and weekly numerology forecasts. Ralph Quintero is the founder of The Great Business Project, a specialized media and consulting services company helping entrepreneurs build great businesses and achieve the financial success and freedom they deserve. As a serial entrepreneur and best-selling author, in-demand speaker, trainer and coach, Ralph has helped thousands of entrepreneurs around the world get off the “hamster wheel”, make more money, spend less time working “in” their businesses and more time focusing on what they are passionate about. Ralph recently launched The Great Business Project Magazine, a magazine by entrepreneurs for entrepreneurs that is already featured among Apple’s Top 10 business and investing magazines for the iPad. 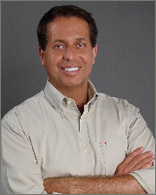 Ralph is one of the most sought after experts on the topics of entrepreneurship and business development. Laura Norman, founder of Laura Norman Holistic Reflexology Centers, is the foremost authority on Reflexology with 3 Masters degrees in education. In addition to being an educator, Laura is a Nationally Certified Reflexologist, Licensed Massage Therapist, Esthetician and Life Wellness Coach. 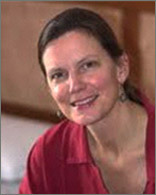 Laura is author of the best-selling book, Feet First: A Guide to Foot Reflexology, which has sold half a million copies worldwide, and is published in several languages. She is regularly featured in major magazines and newspapers, on National TV and radio shows. For over 40 years Laura has pursued her passion of making the science of Reflexology understood, appreciated and available around the world. 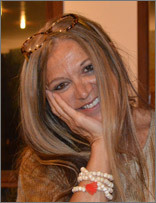 To that end, she developed the most comprehensive Reflexology training programs available, and offers her programs at spas, salons, wellness centers, universities, hospitals, massage schools, the NY Podiatry College, Hippocrates Health Institute, through webinars as well as at her own Reflexology Training Centers in New York City, Delray Beach, Florida and Western Massachusetts. 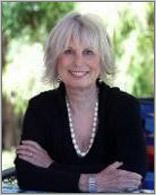 Laura Norman and her associates also offer Reflexology, Life Wellness Coaching and other complementary health services at her Holistic Reflexology Centers in Florida, NYC and Massachusetts, as well as educational Reflexology DVDs and a line of aromatherapy foot, hand and face products using 100% pure botanical oils. Our company accepts no liability for any transaction that you may choose to engage in with any of the Luminaries named here. StressFreeNow.info is not liable for any direct or indirect claim, loss or damage resulting from use of our web site and/or any other websites linked to/from it. Please read the respective Privacy Policies and Terms and Conditions of each listed Luminary before you use their website(s).